Containers are perfect for patio or courtyard garden designs where planting space is at a premium. They allow you to be bold with colour and create a short lived but dramatic focal point. I planted these bright red tulips last Autumn in a terracotta pot and have taken great pleasure from their intense yet fresh colour. They look amazing in the rain! 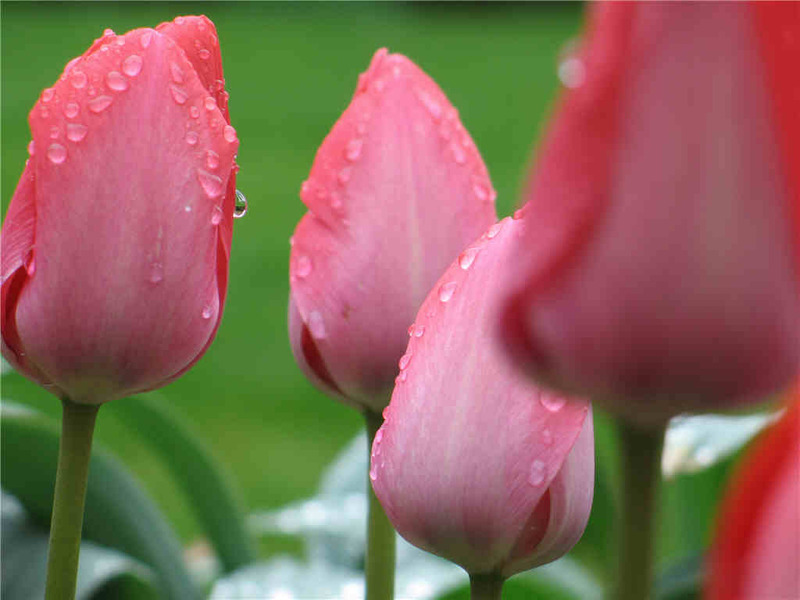 Tulip bulbs are inexpensive to buy and there are hundreds of cultivars and varieties for you to choose from. Once mine have finished flowering I will dry them out and plant them in my border, as they also make great infillers.